A new security procedure set to be introduced at a number of Scottish airports could mean bags and passengers are not searched and make Scotland a “potential target”. Three small and remote Highlands and Islands Airports are to put passengers through a ‘streamlined check-in process’ from the end of this month. 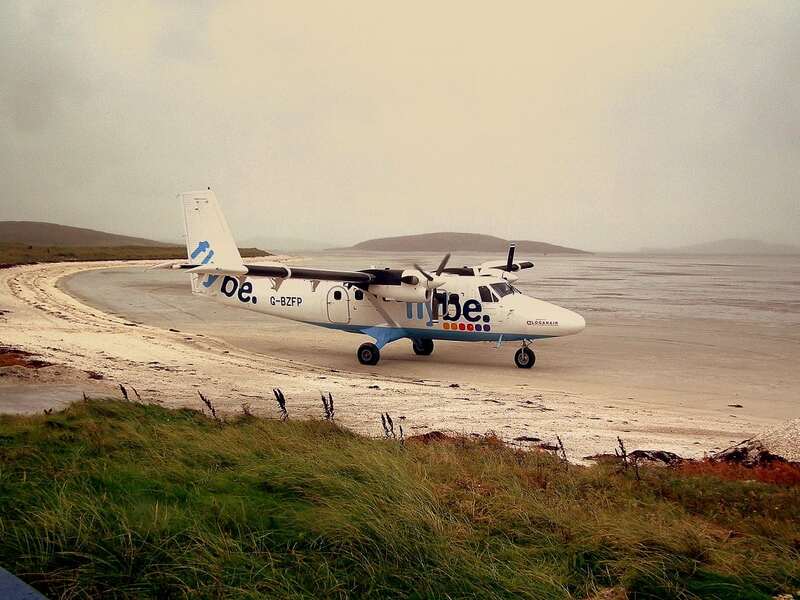 Passengers travelling from airports at the Isle of Barra, Campbeltown, Argyll and Bute, and the Isle of Tiree will be required to reclaim their luggage and join the queue at security in larger airports such as Glasgow. But those who have Glasgow as a final destination may not require any bag or passenger searches at any point in their travels. Airport workers’ union Prospect insist the new measures put both staff and passengers at risk and pointed out that the flight path into Glasgow is close to a number of potential targets. Prospect negotiator David Avery said: “Prospect believes this change is unreasonable and disproportionate and puts staff and passengers at risk. “The current regime of security checks was introduced more than ten years ago and has been largely successful. “But despite the long-standing rules, security staff regularly find passengers carrying prohibited liquids, small knives and in extreme cases, firearms ammunition. “The flight path into Glasgow is close to nuclear power facilities at Hunterston; the large oil terminal and facilities at Finnart on Loch Long and Ministry of Defence establishments at Coulport, Faslane and Glen Douglas. “Lowering security at Highlands and islands airports could make these sites, and the airports themselves, far more likely to be potential targets. “We are also concerned about the equalities impact of returning to individual passenger searches and of course about our members’ jobs. There is no information available as yet regarding potential job losses at any of the three airports. Current Civil Aviation Authority and Department for Transport regulations state that airports which operate aircraft below 15 tonnes may adopt the new proportional security measures. Prospect have also claimed that HIAL says it will offer voluntary redundancy or redeployment to other duties and protect salaries, but could not guarantee that hours will be maintained. Highland and Islands Airports Limited state there are no plans at present to roll out the measures at any other airports. A spokesman for HIAL said the new measures take full account of safety and security. He said: “The new measures, agreed with the CAA and DfT, are proportionate, and take full account of safety and security. “The move follows a review of the security procedures at each of the airports operated by Highlands and Islands Airports Limited (HIAL) by the Civil Aviation Authority and the Department of Transport. “The new measures have been designed to improve the general passenger experience for passengers travelling to Glasgow, whilst maintaining appropriate security standards.